Restylane® is a popular, injectable filler used to treat facial wrinkles and make lips look fuller. Made to mimic hyaluronic acid, a natural substance in your body that provides moisture to your skin, Restylane® provides immediate, natural-looking results. And the results last for a long time: 6-12 months for most people. We use Restylane® and Juvederm® interchangeably in our office. Restylane® is made of a clear, water-soluble gel that fills wrinkles and depressions in the skin. It is a gentle, safe way to make you look younger and more vibrant. The FDA-approved filler is used to reduce the appearance of wrinkles around the corners of the mouth, the lips, frown lines, and “parentheses” between the nose and mouth. It is also an excellent way to temporarily augment your lips, lasting about six months before it needs repeating. Dr. Aycock will discuss your options for dealing with wrinkles and lip augmentation. He is a trainer for Botox® Cosmetic and can help you understand the pros and cons of the treatments available on the market today. Years taken off their face, resulting in greater self-assurance and an improved self-image. Significant improvement of wrinkles in and around the mouth, including folds around the lips, cheeks, and nose area. 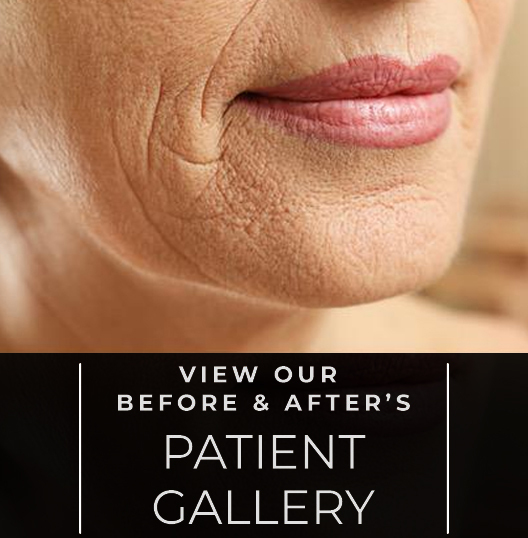 Restylane® is a simple injection that is placed directly into the wrinkle itself. Results are noticeable immediately and can last for several months. There is little to no downtime associated with a Restylane® injection and many patients are back to performing their daily tasks the same day. You may experience some discomfort at the injection site, which can be minimized by the application of a topical anesthetic.